With Porto Q 5K you can charge your phone anywhere, wirelessly. Power your phone up to 2 times on a single charge. 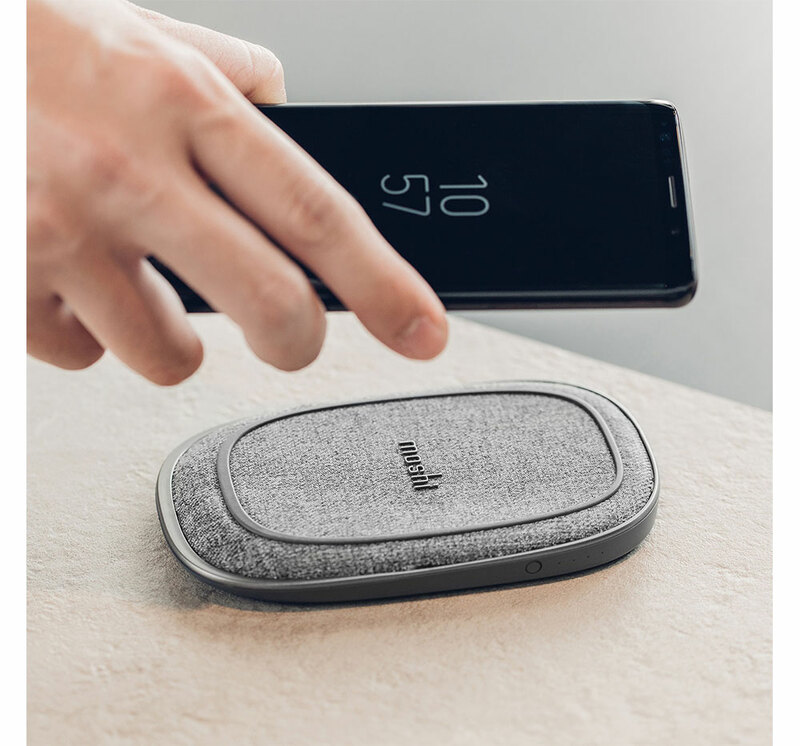 Connect Porto Q 5K with the included USB-C to USB-A cable and use it as a regular wireless charger. Perfect for nightstands and desktops. Porto Q 5K is Qi-certified for wide compatibility across all types of devices. Porto Q 5K cushions your phone with its soft material finish, while a silicone surface ring keeps your phone securely in place. Wireless charging is disabled immediately if a metal object is detected, ensuring safety in all charging scenarios. See your phone’s charging status at a quick glance thanks to Porto Q 5K’s Smart LED. A breathing LED is displayed when charging your device. Advanced circuitry provides for optimized wireless charging, Foreign Object Detection, overheat protection and Smart LED control.